On March 24th in the St. Louis College Prep. 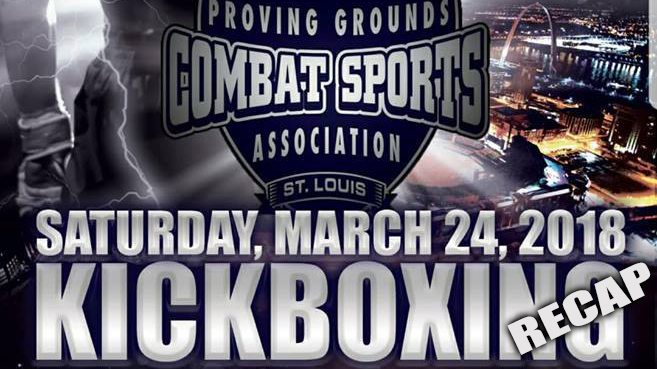 gymnasium the Proving Ground Combat Sports Association hosted a kickboxing event benefiting "Fighting for Autism." The fight card began with a demonstration by students from the Academy of Courage of the opening ritual performed before Muay Thai fights in Thailand called Wai Khru Ram Muay. Topping the main card was a 175lb kickboxing bout between Benjamin Wolf of the River City Warriors and Josh "the karate kid" Blandenburg fighting out of StrikeForce Martial Arts in Augusta, Georgia. The fight began with Blandenburg attacking Wolf's body with perfectly timed karate style front leg sidekicks which he followed with two powerful spinning sidekicks to Wolf's liver. The fight was stopped in round one. "I'm a kicker. I've been kicking for awhile. I use my side kick like a jab. I enjoy it" Josh told KnuckleJunkies after his victory. Josh's future plans include taking over his father's gym and "continuing to fight, hopefully on Team USA in May." In one of the most brutal fights of the night Rachel Roland of the Academy of Courage took on Jojo Bauer of the Metro Fighting Team in a 165lb kickboxing bout. Bauer's combos were fast and deep. Her boxing was on point. She managed to keep pressure on Roland through three rounds of nonstop action. Roland did a great job of staying on her feet, moving and counterpunching but it wasn't enough to keep Bauer off her. In a 165lb K1 kickboxing bout Brendan Grigsby of the River City Warriors took on Danny Quaite of Sid's Kempo Karate. 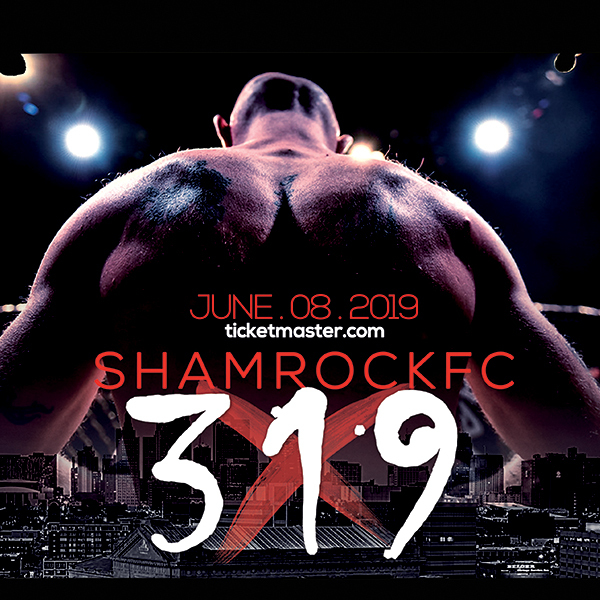 Grigsby came out swinging fast and hard in the opening of round one but Quaite quickly began to turn the tables and started dominating with combos and knees in clinches and clashes. For the next two rounds Quaite was climbing the judge's score card with his combos and strong knees. Towards the end of round three Grigsby managed to land a hard, perfectly timed hook dropping Quaite and ending the fight. In the second of two female fights Mihika Nagpal of Seven Corners Road took on Ally Blackwell of the Academy of Courage in a 110lb kickboxing bout. Nagpal did a great job closing the distance and open exchanges but Blackwell was unrelenting in keeping the pressure on Nagpal with her counterpunching. Blackwell's kicking and punching combos stopped the fight for standing ten counts twice before the fight was finally stopped in round two. Tony Fingers of the River City Warriors took on Kaleb Bagwell of the Metro Fighting Team in a 115lb kickboxing bout. This was a fast a paced and exciting fight between two talent young athletes. Both fighters showed heart and grit and kept the pressure on each other through three tough rounds. By the end of the third round both fighters were exhausted. In a 145lb kickboxing bout Sebastion Sotillo took on Ben Braun. Braun was the significantly taller and longer of the two fighters. Braun kept his distance the whole match throwing punches and front kicks to keep Sotillo at bay. Sotillo displayed a more diverse repertoire of techniques as he tried to bridge the gap in reach but it was to no avail, Braun was too quick on his feet and to fast counter. In a 70lb kickboxing bout Nolan Straedey took on Jace Yourgles. Both fighters did a great job. Yourgles was the more dominate fighter by a slight margin. Yourgles eventually knocked Straedey down. The fight was stopped. In a 165lb K1 kickboxing bout John Kriha took on Craig Dalton Berger. Kriha used his superman punches to close the distance with Dalton who managed to counterpunch and move but he couldn't keep Kriha off him long enough to mount an offense. Dalton was knocked down twice for a ten count but managed to get back to his feet and fight to the end of round one. The fight was stopped before the opening bell of round two. In one of the most exciting fights of the night Hiue Vuu of the River City Warriors took on Ryan Horn of the Wolves' Den in a 120lb K1 kickboxing bout. Strong technique from both Vuu and Horn as they demonstrated an array of techniques and level changes and athleticism. In a fight that went back and forth between two talented young fighters it is no wonder that after three intense rounds the fight was judged a split decision. A scheduled fight between Brendan Wolf and Paul Ivey was called off.